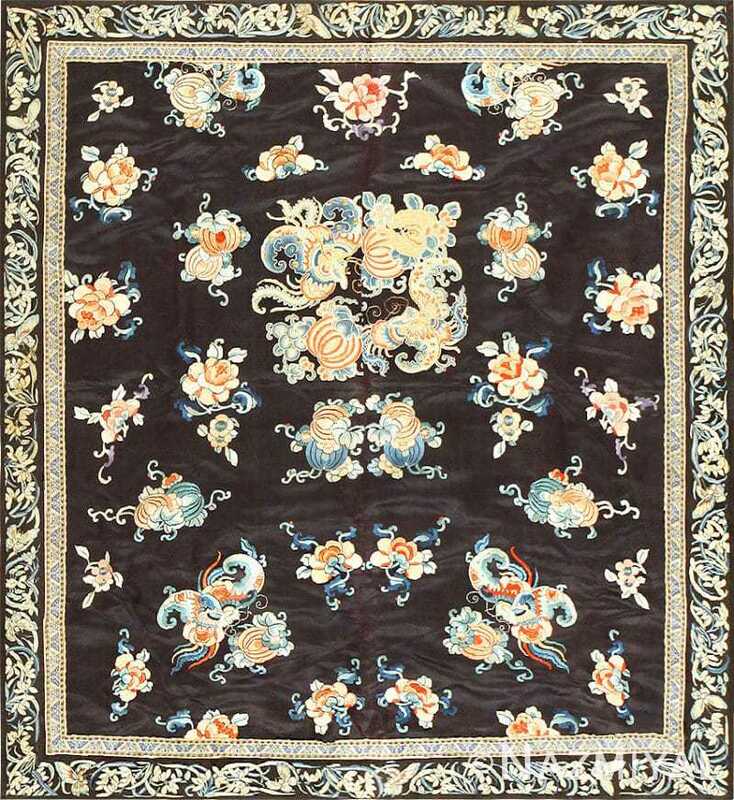 Crafted during the illustrious Ming Dynasty, this 16th century Chinese creation typifies the beloved dragon carpet with its undulating body and celestial vapors. Breathtaking and Highly Collectible Antique 16th Century Ming Dynasty Dragon Chinese Fragment, Country of Origin: China, Circa Date: 16th Century – This wondrous 16th century Ming Dynasty dragon Chinese carpet is a mesmerizing example of this enduring, deeply symbolic design that embodies Chinese art and history. 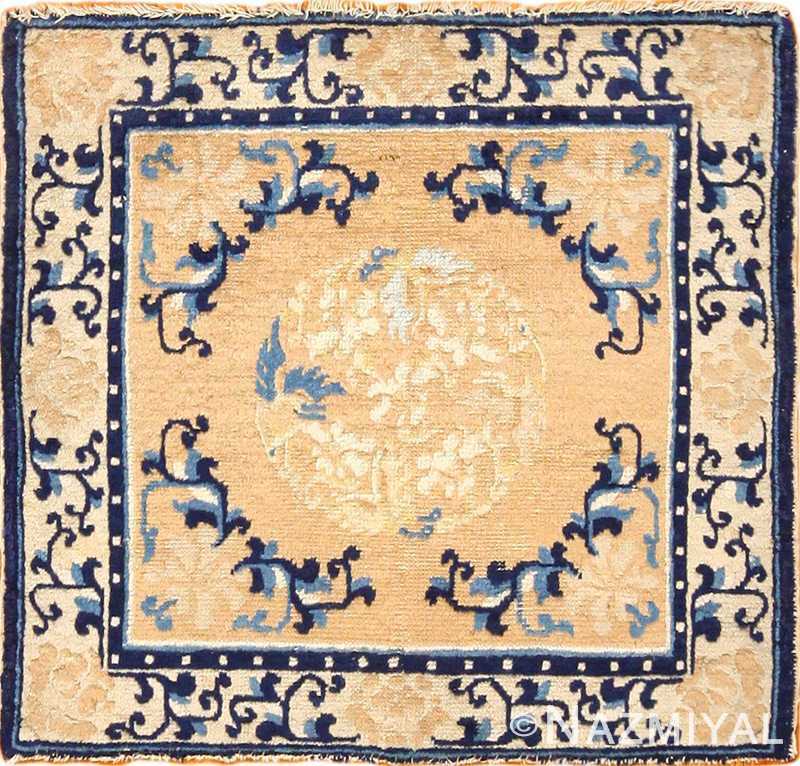 Sumptuous camel-tone pile colors the plush background and articulate surface details, which include ancient, powerfully symbolic motifs drawn in a graceful curve-linear style that’s still used today. The dragon’s serpentine body artfully meanders in and out of the frame, providing ample space for the fiery dragon’s breath vapors and ruyi-scroll clouds that populate the monochromatic ground and cleverly disappear behind the dragon’s well-defined, perspectival body, which displays softly shaded scales. 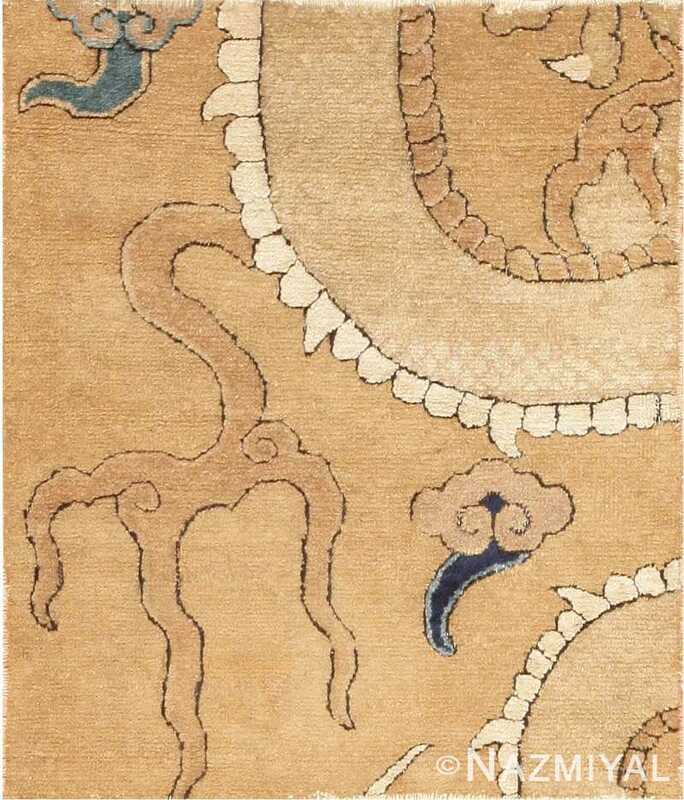 Crisp bistre accents outline the dragon’s armored back, tender underbelly and the distinctive symbolic motifs that make this antique dragon carpet such a definitive example of art and carpet weaving in China’s powerful Ming Dynasty. 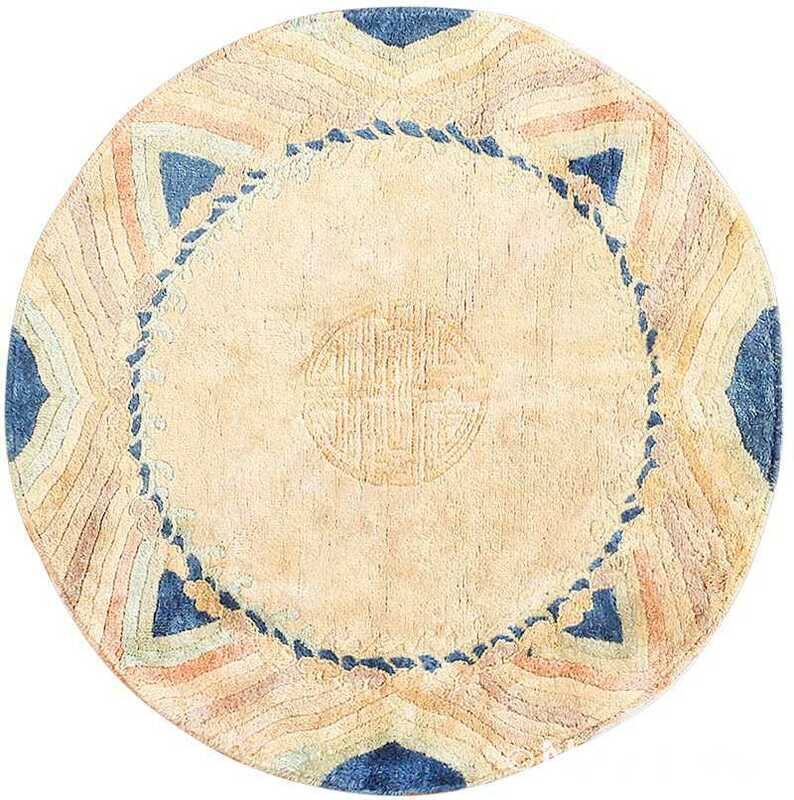 Though a vintage rug from the mid-twentieth century, this charming circular rug showcases some quintessentially Chinese design elements that are centuries old.